At the time, which was early on in my career in violins, I shrugged it off as Mr. Morel exhibiting his French chauvinism. As I opened my eyes to more violins, and as I learned more about violin making history, I came to the realization that Mr. Morel was right. Very,very right! Italian violin-making of the 18th and 19th centuries is often equated with the distinctly Italian Cremonese craft of the early 1700's and 1600's. As the violin-making culture in Cremona underwent a decline with the passing of the elder Stradivari, Guarneri, and several of their contemporaries, the violin-making heart of Italy became Turin (See Cremona After Stradivarius). Turin, located on the western portion of the Piedmont region of Italy, was in the firing line of Napoleon's conquering army as it stormed northwest. Along with the flood of conquering troops came a wealth of French violin-making knowledge and customs, which laid a foundation for the emerging violin-making culture of Turin and the rest of northern Italy. Napoleon's conquest of Turin and Genoa in a single expedition was a tactical marvel in 1796. Austrian troops were stationed in Genoa and the surrounding terrain, and the Piedmontese troops established a stronghold in Turin. 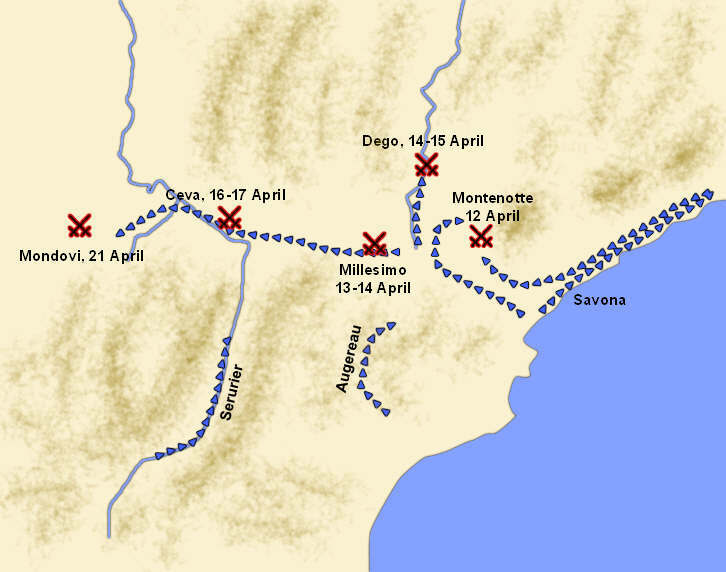 The Italian armies intended to converge on Napoleon's approaching forces to exercise their advantage in numbers, but Napoleon was able to foil this plan, confront the armies one at a time, and fight with superior numbers. The allied armies assumed the French would proceed to Voltri via the Bochetta Pass, where the Austrian and Piedmontese armies would converge and ambush them, however Napoleon's forces took a mountainous route to the west of the Bochetta Pass instead. Here they were able to surround the Austrian army before the Piedmontese joined them, and the Austrians were defeated easily at the Battle of Montenotte. Napoleon continued west to confront the Piedmontese army at Millesimo, where the Italian forces surrendered to the massive French army. They tried once more to defeat the French at Mondovi, but were forced to surrender again. This left the French's path to Turin free of enemy forces, and Turin was easily occupied. Because Turin is relatively close to France, there were a number of French citizens living in the city before Napoleon took it over, so the city was no stranger to French culture. As a result, when Turin was converted to official French rule its citizens were quick to embrace the influx of French people and culture, including a number of violin-makers (luthiers), a majority of which were trained in the Mirecourt school (See Mirecourt Violin-makers). In 1770 the legendary Cremonese luthier J.B. Guadagnini set up a new shop in Turin, which was run by his sons Gaetano and Carlo after his death in 1786. The Guadagnini shop fostered a sufficient culture of luthierie for French makers to lay down roots and expand the existing market, however it also preserved the Cremonese school of violin-making in the Piedmont. As a result, luthiers that were trained in Turin were influenced by both French conventions and Cremonese traditions, a school that came to be known as the Piedmontesi. 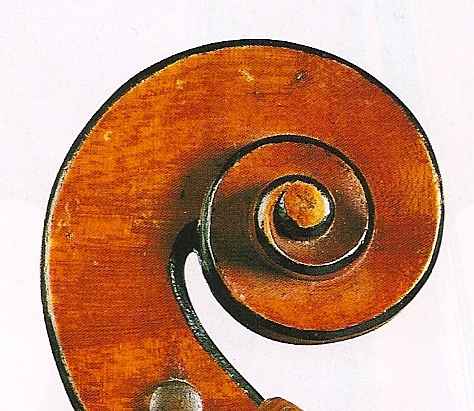 The black mastic outline around the scroll of the "Messiah" Stradivarius, a characteristic that French violin makers brought to the Piedmontesi and Pressenda (influenced by Pacherel) emulated in his shop. One of the earliest and most well known of the Piedmontesi luthiers was Giovanni Pressenda. Pressenda's biographer Gioffredo Benedetto, otherwise known as "Rinaldi," wrote that Pressenda was introduced to Lorenzo Storioni, a maker who joins Guadagnini in the Pantheon of Cremonese violin-making, at an early age. Rinaldi detailed that Pressenda was inspired by this encounter to work in a shop of the Piedmontesi school while he lived in Carmagnola, a city just south of Turin. Here he became familiar with the French-Cremonese style of luthierie while he worked as a restorer. In 1819 he grew dissatisfied with restoration work and began to generate instruments of his own in the Piedmontesi tradition. While still a resident of Carmagnola, Pressenda entered a violin into the Turin Exposition, where he won a bronze medal for his workmanship, an honor rarely awarded to a new luthier. This was a hint of his brilliant future and reputation to come, and the resulting popularity allowed him to open a shop in luthierie-rich Turin in 1822. He once again entered the Turin Exposition, this time winning a silver medal for two violins and a cello. This renewed legitimacy convinced him to take on a pupil, the young and promising Giuseppe Rocca. It was during these later years that Pressenda made slight modifications to Piedmontesi conventions and created the standard and benchmark in Italian violin-making; he used French techniques to fashion a variation of the "Messiah" Stradivarius (See Messiah Stradivarius), a thoroughly Cremonese violin. Pressenda passed on his wisdom of the craft to Rocca, and the young apprentice was able to observe and pass on the techniques pioneered by his teacher. When Rocca left to open his own, highly regarded shop, an aged Pressenda replaced him with Pierre Pacharel, a student of J.B. Vuillaume from Mirecourt, France. In the years preceding Pressenda's death in 1854, Pacharel made a majority of the instruments produced in the Pressenda shop, while an ailing Pressenda devoted his energy to perfecting a varnish recipe (although it appears he was never satisfied with one). It was this synergistic combination of French and Italian lutherie in the Pressenda shop that formed the identity of the Piedmontesi school of violin-making. Piedmontesi luthiers that carried on the traditions established by Pressenda include the Marchetti family, Guadagnini's descendants, the Fagnola family, Evasio Emilio Guerra, Anselmo Curletto, Pietro Gallinotti, and many others. A J.F. 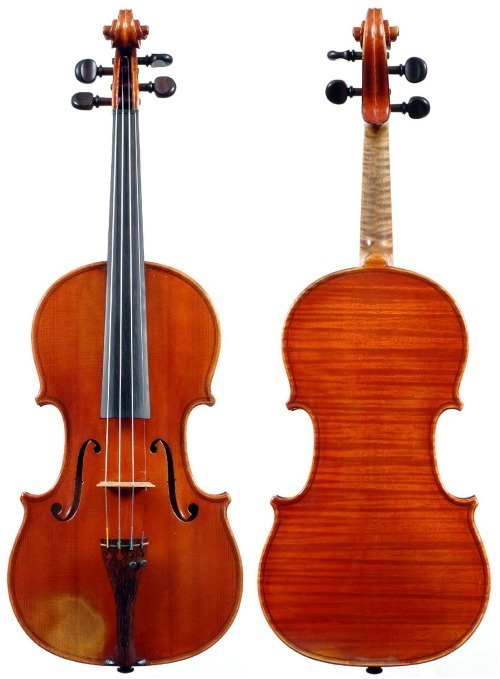 Pressenda violin, made in Turin circa 1849 showing Pacherel's distinct influence. In short, it was the work of many Mirecourt-trained French luthiers that defined the form and process of modern Piedmontesi violin-making. As a matter of fact, Mirecourt luthiers filled the shops of Vuillaume, Hill, and countless other makers, and influenced luthierie in shops worldwide. You can learn more about the Piedmontesi violin makers in two wonderful books, Liutai Piemontesi published by the Consortium of Violin and Bow Makers of Cremona and Liuteria Italiana, IV, by Eric Blot.